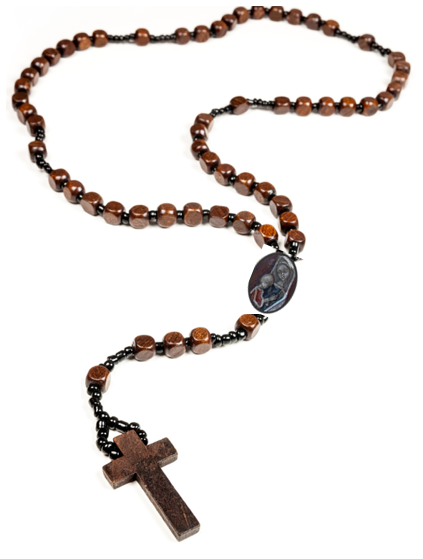 The rosary itself is composed of 60 beads laced together with a crucifix and a pendant of Mary where the 3 strands meet. 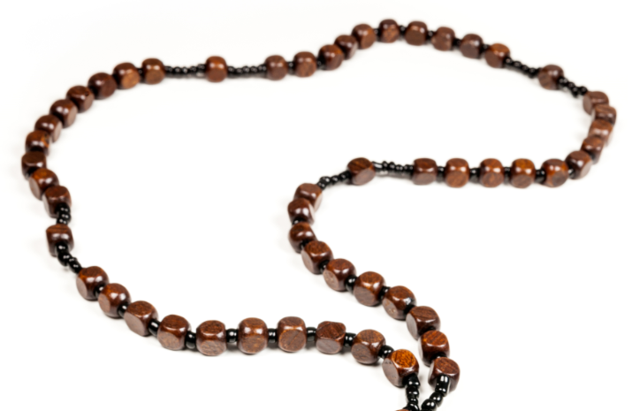 We divide the Rosary into 6 segments. The 1st segment is composed of the introductory prayers and that is followed by 5 decades. After the introductory prayers and before the mystery is announced the leader of the group may announce an intention for this particular decade. The intention may be a person by name, a group of persons, a prayer for peace and justice, or some other worthy cause, or a prayer for the deceased. 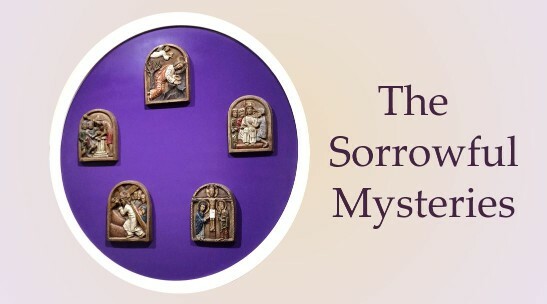 Next, the leader will announce the mystery, for example, "The first sorrowful mystery is the agony in the garden." 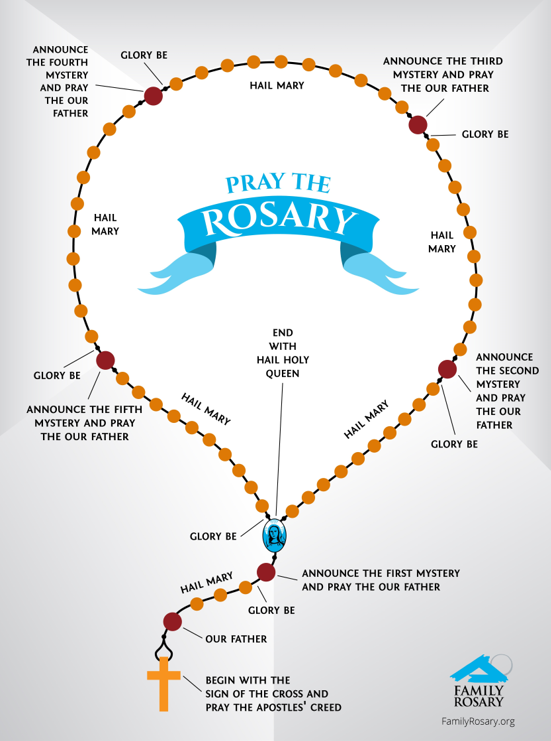 All twenty mysteries of the Rosary will follow the same three-step pattern, scripture, reflection and personal experience. 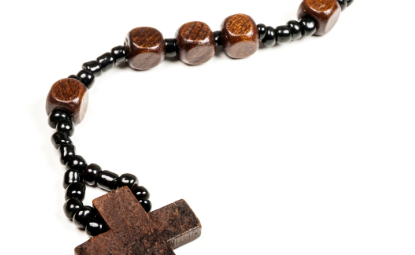 Don't worry about how "well" you pray the Rosary. Just pray it. As with anything new, you may stumble at first but it will soon become natural and you'll begin to miss it if you skip it! 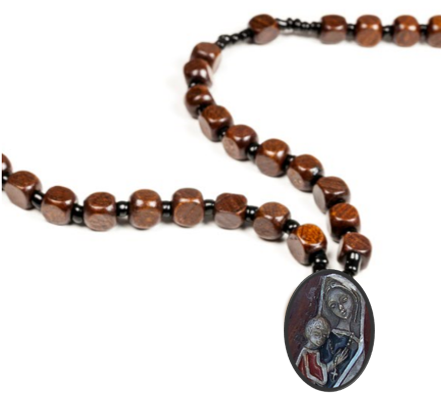 Give the Rosary a try and pray one decade today! There are four sets of Mysteries: Joyful, Luminous, Sorrowful and Glorious. 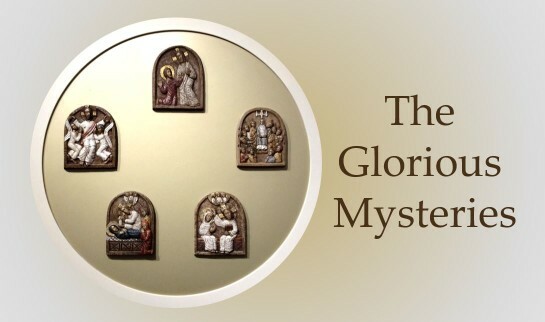 The Mysteries tell the story of Christ's life through his Mother Mary's eyes. 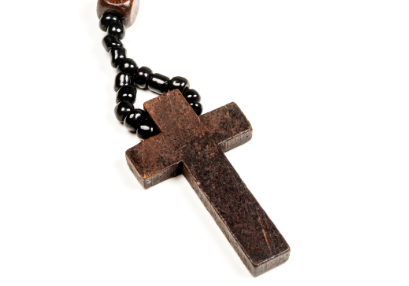 Praying the Rosary doesn't have to happen in a quiet chapel before Mass. You can pray it with your family in the car, around the dinner table, or right before bed. We know you're busy, so let prayer naturally fit into your daily schedule. Each day of the week is assigned a set of Mysteries to pray that day. Some people pray the Joyful on Monday and Saturday, the Luminous on Thursday, the Sorrowful on Tuesday and Friday, and the Glorious on Wednesday and Sunday. But, you can pray them any day you wish. Whatever works best for you and your family.